Photo Location work at Inshriach. Last week we had a crew staying here and shooting the Autumn / Winter catalogue for Plumo. We did the catering, took them round, showed them all the best weather faded walls, crumbling textures, photogenic outbuildings and riverside vistas and then they got on with it. Our new website will have a section dedicated to location work as it becomes an increasingly important and entertaining strand of the business here. Regular holiday rentals will only ever get to see a little fraction of what goes on here and we are going to have a scale of location fees depending on how much access and which buildings are required. You can get a good idea of what Inshriach has to offer by looking at our flickr page. 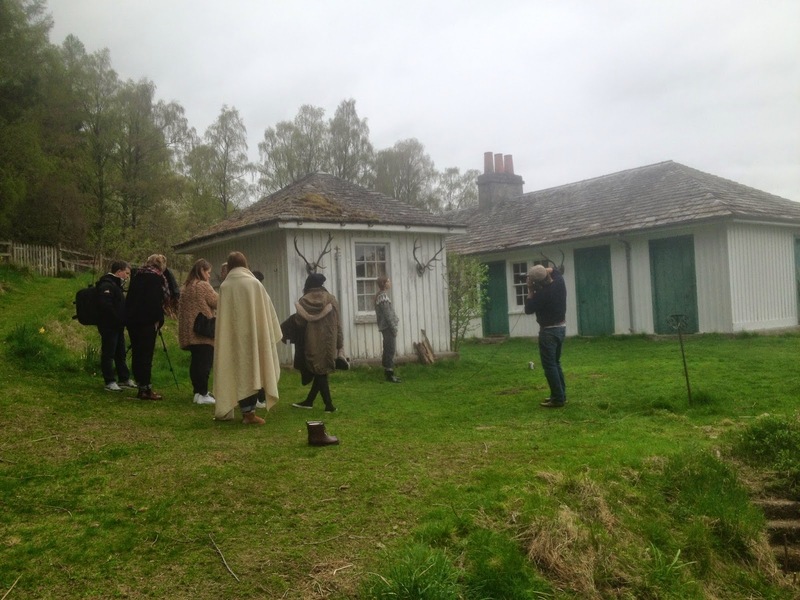 I will have some proper pictures from the shoot to post in a few weeks time but in the meantime here is a terrible one of them shooting outside the bothy.